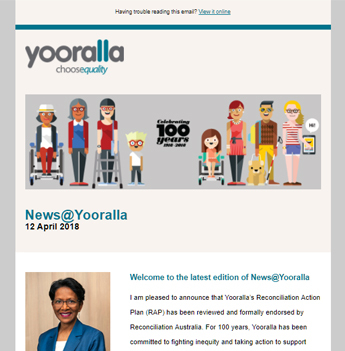 Yooralla provides a wide range of tailored, flexible and quality services for people with disability of all ages and needs, as well as carers. Yooralla supports people with disability of all ages and needs, in their home and in the community with quality services. Yooralla provide tailored services for children with Autism Spectrum Disorder (ASD) recognising the importance of early intervention in building a child’s capacity through their early years.